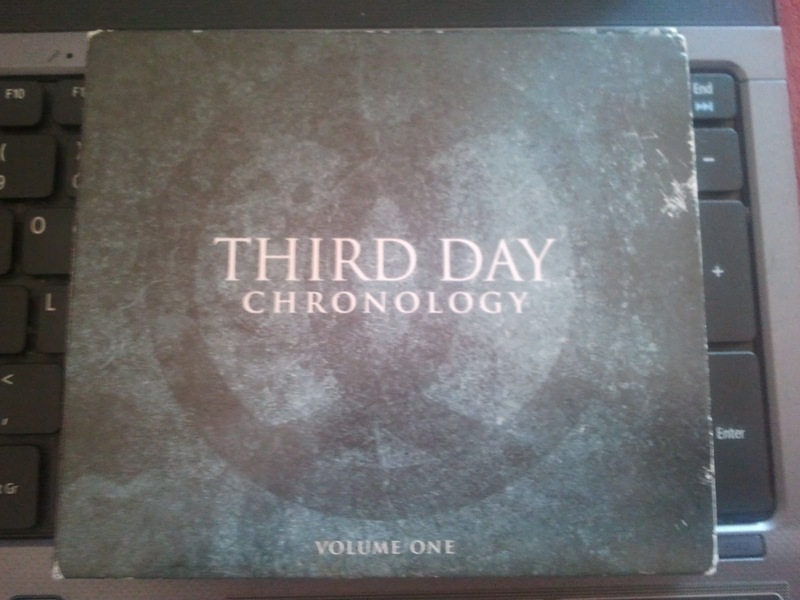 v.1 cover shows entrophy by a green misty dark green with only the and name 'Third Day' and the album title in the middle of the design. This connotes that the target audience commits to the band and the music they produce, therefore an image of them isnt always neccessary on the cover, which may occur within mainstream artists. The lack if imagery deforms the idea of rock as it provides no evidence of it being in the genre just by looking at the cover. Indented into the cover, in a darker green is a symbol framing the white serif font. At the bottom stands the serif text 'Volume one' connoting that this is the first album of many which they have produced, and is an alternative way of creating albums as they lead from each other. 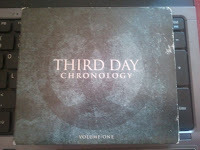 Volume two shows an image of the band accross the cover showing signs of redundancy. The Band name and title, which is the same as v.1 is situated about a third the way down the page, with the same serif text from volume one, in the middle of the cover. The use of the same text connotes similarity and the two albums are very similar, perhaps because both albums are worship songs which share the same use. Again, in the middle, at the bottom is the text 2001-2006 suggesting these were the songs created within this time scale. The main colour used for this cover is a dark red, in the same misty effect as v.1. The use of the same symbol, framing both the text and the image in this example, also shows the familiarity between them and the connection between the two. 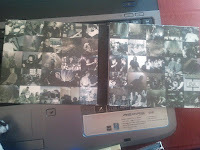 On the inside of the digipak, the next two pages, on both digipaks shows lots of screen grabs and images in a grid, with 5 images by 5 images. All images have been manipulated with effects to fit in with the colour themes of the albums, volume 1, being changed so all images are the same dark green as the cover and red for volume 2. The lighting is shown clearly through white, black and the shades of colour. Each image in both digipacks is unique as they show different aspects of the bands life and ways they preform, and they are mixed together so they are not just all performance elements. 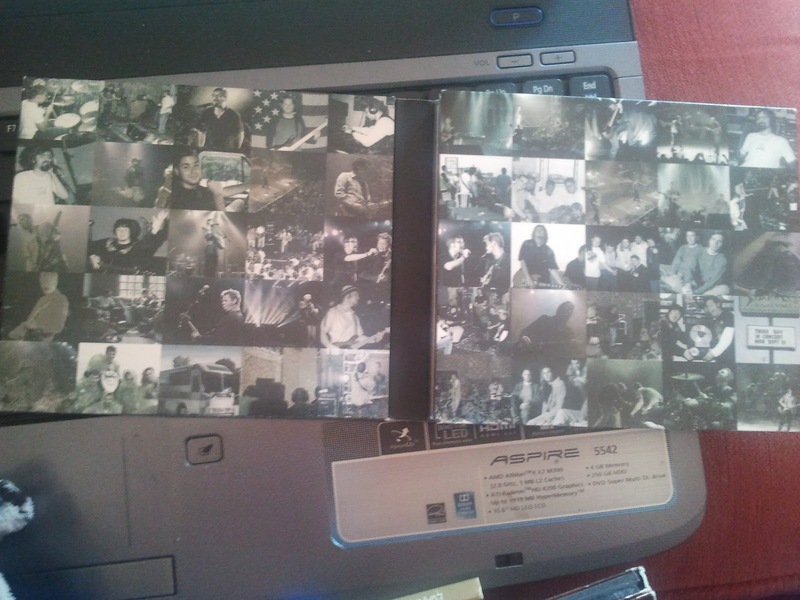 The mise-en scene shows elements of instruments and recording equipment connoting natural photos being taken in time of recording the songs to which were then inserted into the digipak which is really uncommon in many bands to use so many images within their album, showing performance of the songs and recording. In very few, the artists are looking into the camera, which connotes further that the images were more natural than staged and the ones where they are looking into the camera, such as in the recording studio, they look like they are having fun. 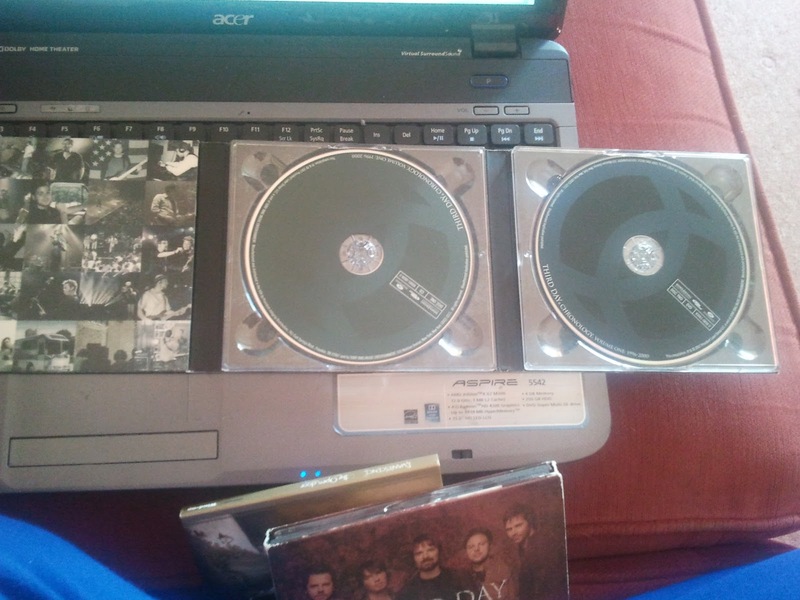 The background of where the disks sit are plainly coloured with the colours and effects shown on the cover of the reds and greens turning the main attention of the digipak to the sections of all the images. The back covers again are very similar, showing the same design. 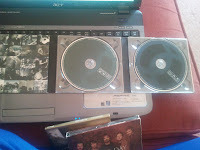 At the tops are little paragraphs explaining about the album and about te band. 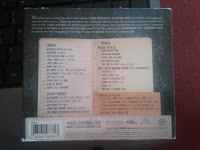 Then the image of an open book displays the song titles and also the contents of the dvd which are included. This is very interesting as it connotes a sense of being home written and writing ideas down in a book. The sans serif text of the titles are not block colour but hazy and somewhat hard to read which adds to the effect of the hazy background.